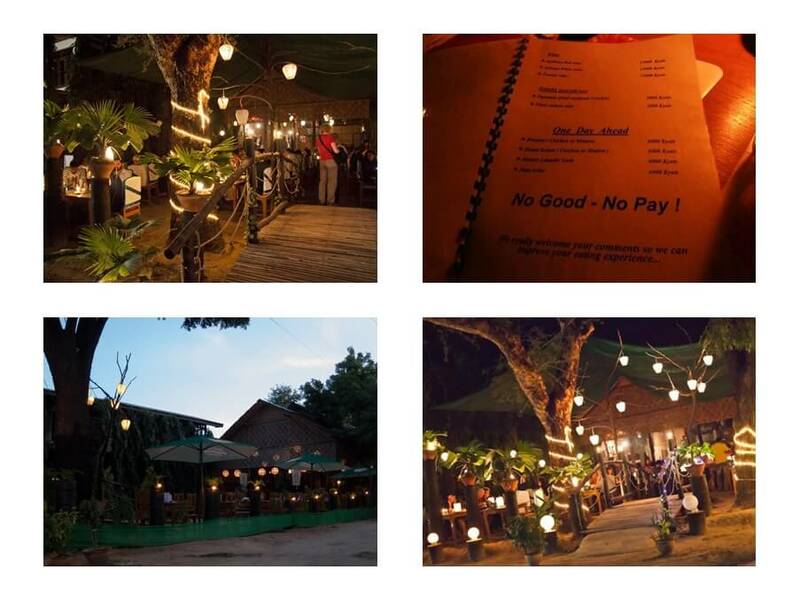 The Moon is one of the most famous restaurants in Old Bagan. It has become the top choice of many visitors, especially Westerners for having lunch and also dinner. The restaurant is impressive not only for its convenient location- near the famous historical site – Ananda temple but also for its diverse menu of numerous tasty dishes, particularly veggie food. 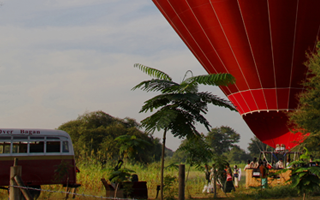 It is an ideal place for you to stay away from the heat of Bagan in the hot summer thanks to the shady trees. 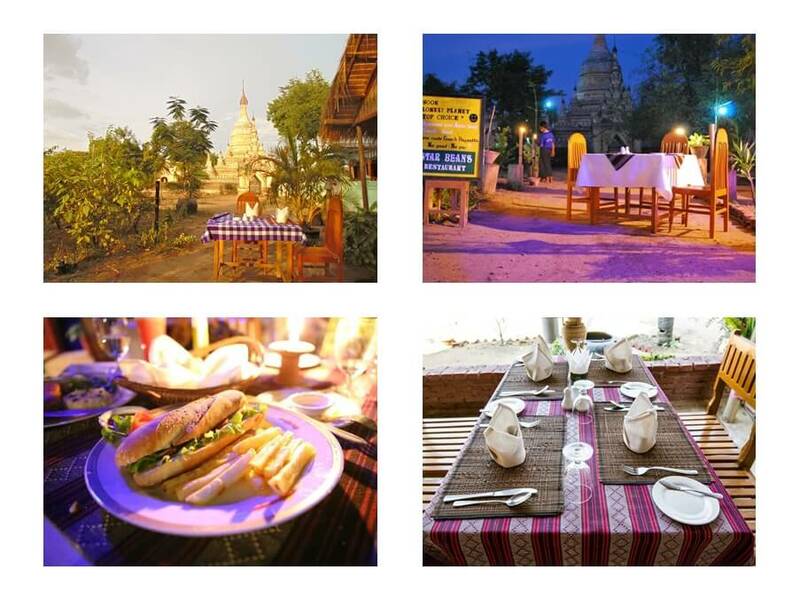 With the hospitality and friendliness of staffs and the reasonable prices, the Moon restaurant undoubtedly brings you the highest satisfaction during your trip in Bagan. Menu: Most of the dishes here are vegetarian. There is also a wide selection of ice cream and other kinds of drinks including Cappuccino, Latte and Espresso coffee, etc. Another great option you should not miss when discovering the culinary of Bagan is Weather Spoons Restaurant. Almost all visitors travelling to this area cannot forget the fabulous taste of the restaurant’s most famous dish – BURGER. The menu is diverse and the food is truly good value for your money. 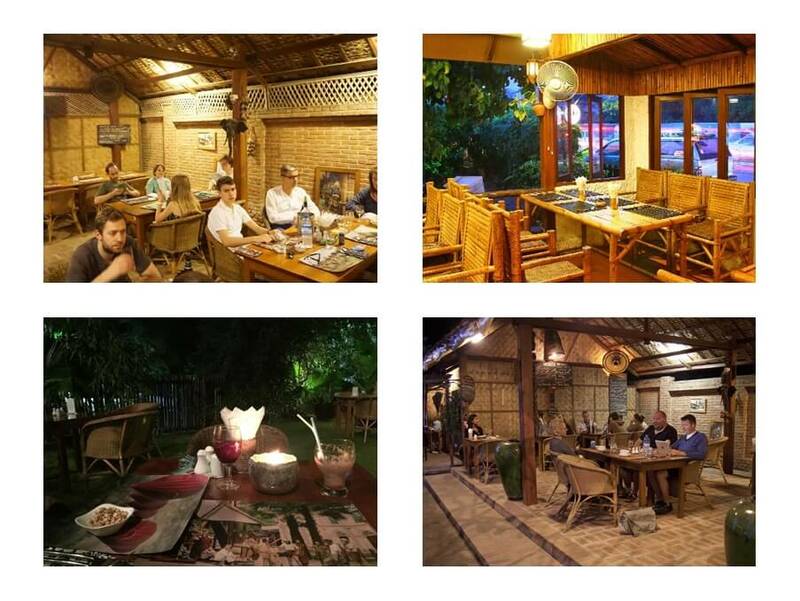 Weather spoons restaurant is a great place to refresh yourself after a busy day with many activities in Bagan. Menu: There is a wide selection of food choices ranging from European and American food and the irresistible Burmese dishes. 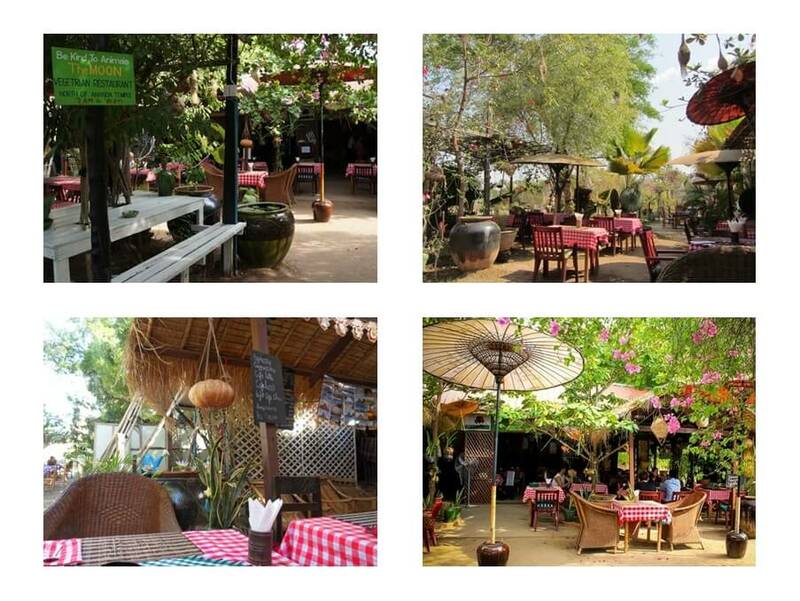 In the long list of restaurants in Bagan, Star Beam restaurant is recognized as an excellent local restaurant. What makes it a great restaurant is its exceptional food, friendly service and cozy atmosphere. These are distinctive features of the restaurant that any visitor wants to come back for more. 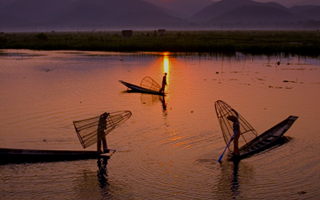 Menu: There are plenty of food choices including classy Western and authentic Burmese food. If you have not found your own favorite local food and local restaurant which inspire you, let’s put Black Bamboo restaurant into your list. Located in a great location with lovely garden area, the restaurant will amaze you with its beautiful setting for a meal. 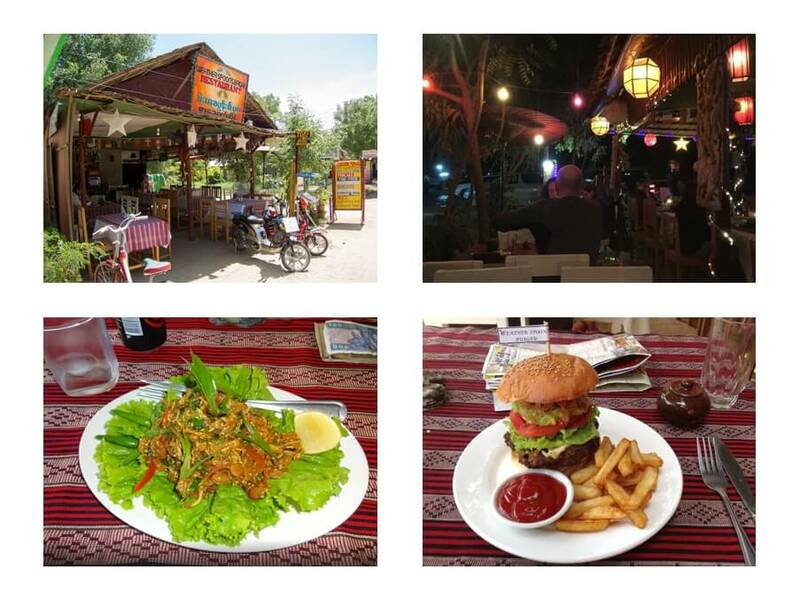 You are still worry about where to eat in Bagan, don’t miss out on the chance to enjoy meals in this excellent restaurant. Menu: Western and Asian options, various choices of drinks and ice-cream. 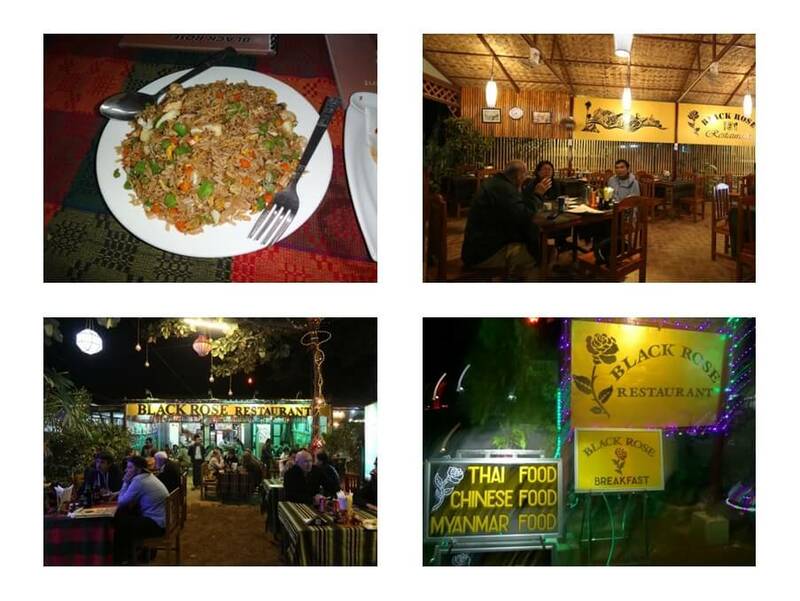 Run by an Indian family, Black Rose restaurant is unique for its services with the priority to satisfy the guests. It is always busy at dinner and lunch time while other restaurants in the region are almost empty. Another special characteristic about Black rose restaurant is its romantic atmosphere and unique home-cooked meals which makes you feel like home. Menu: Burmese, Chinese and Thai food. 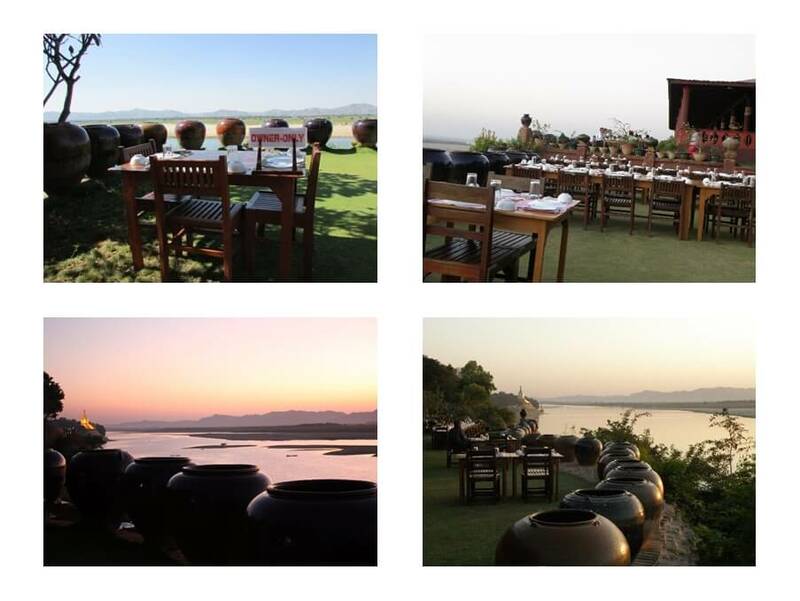 As the name suggests, Sunset garden restaurant is an ideal place to get the great view of the great creation of Mother Nature – sunset. Located on riverside with a large campus and a beautiful garden covered with green trees along the river, the picturesque restaurant offers stunning views in romantic atmosphere. It is even more enjoyable when enjoying great meals at sunset. Menu: Great local food and different kinds of drinks. This beautiful restaurant leaves guests great impression for its good setting and savory authentic Indian food. It is perfect choice for your dinner to mingle into romantic atmosphere with candle-lit tables and gentle light. Fabulous Indian dishes with reasonable price severed by helpful and friendly staff become fantastic experience of any guests to this amazing restaurant. we would love authentic myanmar food served, cooked, owned by myanmar – how many are there in bagan – can you give us a list of those restaurants? ps – do you have food tours? I would like to inform that we do not make statistical about restaurants owned by Burmese. Besides, in Bagan, we arrange the cooking class (not street food tour). 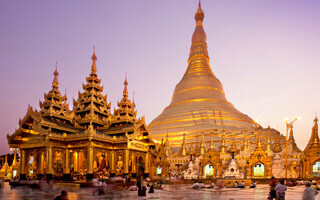 If you would like to enjoy the street food tour, we only organize food tour in Yangon.